Production of high quality, consistently bittered beer at an optimized cost is a science. Backed by over 150 years of brewing experience, Watertown Hops Company provides a line of advanced hop products that help you precisely feature qualities such as foam enhancement, light stability and batch-to-batch consistency, with favorable, bottom-line impact. The Watertown Hops Company team has the experience and technical capabilities to develop custom products for your application. ISO-30 consists of isomerized-alpha acids that are formulated into a 30% aqueous solution. ISO-30 provides the same iso-alpha acids that are produced by traditional kettle hopping. Use of ISO-30 provides improved batch to batch consistency as well as lower hopping costs due to better alpha acid utilization. ISO-30 is stable stored at room temperature freeing up cooler space. ISO-30 is currently supplied in 20 kg pails or 1275 kg IBC totes. Hydrohop is an aqueous solution of tetra-hydro-iso-alpha acids that is formulated to either 5% or 10% solution. Hexa Hydrohop is an aqueous solution of tetra (5%) and hexa (5%) iso-alpha acids. These hop products can be used, post-fermentation, to provide bitterness and improve foam stability. Additionally, replacement of traditional bittering sources (iso-alpha acids) with Hydrohop can ensure light stability eliminating light struck (skunkine﻿ss) characteristics. Hydrohop is stable at room temperature and supplies between 1.0 and 1.7 times the sensory bitterness of traditional bittering (iso-alpha acids). Hydrohop is currently available in 20 kg pails or 1275 kg IBC totes. SPIRE-B is an aqueous solution of rho-iso-alpha acids formulated to 35%. SPIRE-B has excellent storage stability and can be stored at room temperature. Some light stability. SPIRE-B hopping also offers increased utilization over traditional hopping, a unique, mild bitterness profile and can be added downstream to finished beer. SPIRE-B provides a sensory BU value of 0.70 times that of traditional iso-alpha acids. SPIRE-B is currently supplied in 45 lb pails. Hop oil fraction (HOF) is the hop oil and resin fraction that results from CO2 extraction. HOF provides improved finished brew aroma consistency, lower batch-to-batch variability, and lower costs. HOF is typically added to the kettle late in the boil, which improves aroma component retention when compared to traditional pellet or whole extract kettle addition. This hop product provides the aroma component for brews that must be light stable. HOF is currently supplied in 2.5-gallon containers. Isomerized Kettle Extract (IKE) is whole CO2 extract with nearly all the alpha acids isomerized in their free form along with soft resins and hop oils. IKE can be used as a complete or partial replacement for CO2 extract addition to the kettle. IKE presents an advantage over CO2 extract because of the higher level of free alpha acids available for bittering when compared to that of CO2 extract or pellet addition (>90% conversion vs. about 30%). Properties are generally similar to conventional CO2 extract, but the utilization of iso-alpha acids is significantly higher, resulting in tighter batch-to-batch consistency and lower bittering costs. Potassium-Form Isomerized Kettle Extract (PIKE-WHC) is a variant on IKE, which contains the potassium salt of iso-alpha acids, beta acids, and hop oils. Watertown Hops Company has the technologies to custom formulate and create solutions that meet your brewing requirements. Contact Watertown Hops Company for more information about our custom hop products and pricing information. Other packaging available on request. Watertown Hops Company provides advanced hop products suited for any brewer. Our unique approach to advanced hop products will fully support your brewing needs. Contact Watertown Hops Company for more information about our products and capabilities. ﻿The Watertown Hops Company was founded in 1987 to produce light-stable hop extracts for brewing using patented technologies. In succeeding years, Watertown Hops Company has expanded to supply hopping excellence throughout the world. Call it Hops 2.0: where sophisticated technologies combine with over a century and a half of brewing experience to create your favorite beers. Watertown’s products provide solutions to a spectrum of brewing challenges from product consistency and attribute enhancement to lower operating costs. We also offer the capabilities to design custom product requests for the Lab, Pilot or Commercial scale to meet current product or new product development requirements. Alternative packaging configurations are also available. Watertown Hops Company maintains both a food safety (FSSC 22000 v4.1) and a quality management (ISO 9001: 2015) certification, registered by EAGLE Food Registrations Inc. The FSSC 22000 scheme is specifically designed for food manufacturers and forms a basis for Watertown’s goal of continuous improvement for Quality and Food Safety. Watertown Hops Company is also Kosher Certified through OK Kosher. 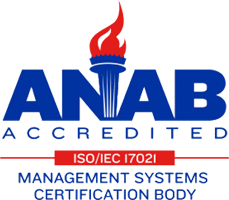 FSSC 22000 and ISO 9001:2015 Registered by EAGLE Food Registrations, Inc. Contact Watertown Hops Company about your advanced hop product needs. Watertown Hops Company has expertise to identify solutions that meet your specific brewing requirements. Contact us for more information about our advanced hop products and pricing information.